Wow, talk about a personal challenge! 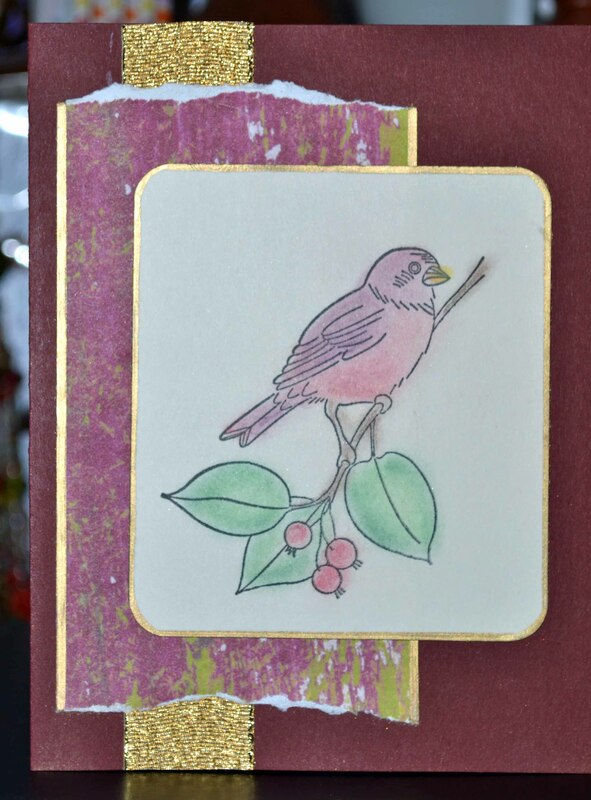 Using 10 embellishments on one card? Yowza! I had to do it. 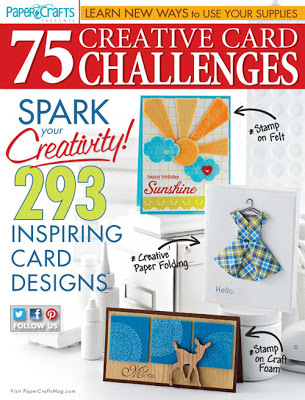 The challenge is from Moxie Fab World and did I mention it required me to use 10 — count ’em 10! — embellishments? Why was this such a challenge? Because I tend to hoard things, saving them them for the “perfect” project. So I broke into my stash of flower embellies and found these cute pressed flowers from Petals & Possibilities that I got a few years ago and never used. (Shame on me!) (Sorry, I couldn’t find a viable web site for the company.) Since I’m into Valentine mode, these heart shaped beauties were the perfect fit. Here’s the scoop: paper from Bazzill Basics Miss Teagen Sue collection; bird stamp with matching die from Prickley Pear, stamped with Hero Arts Cup O’ Joe, then highlighted with pearlescent chalk from Pebbles; twill ribbon from Making Memories; baker’s twine from Close to My Heart; pressed flowers from Petals & Possibilities; pearls from Hero Arts. Do check them out! As for me … I’m going to dig out some of my stash and use it with wild abandon! I love making cards and have compiled quite a stash. 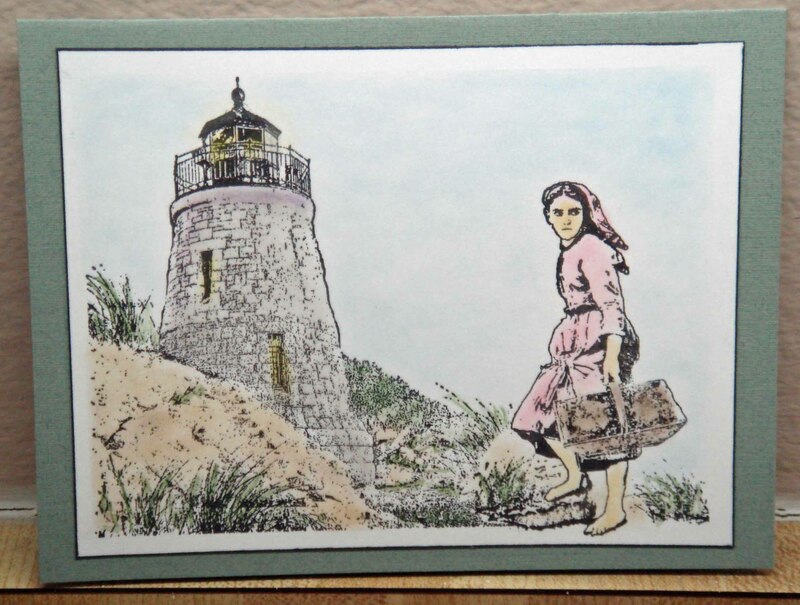 I send cards for birthdays, or just to say hello. I give cards to friends. And I still have a large stockpile! 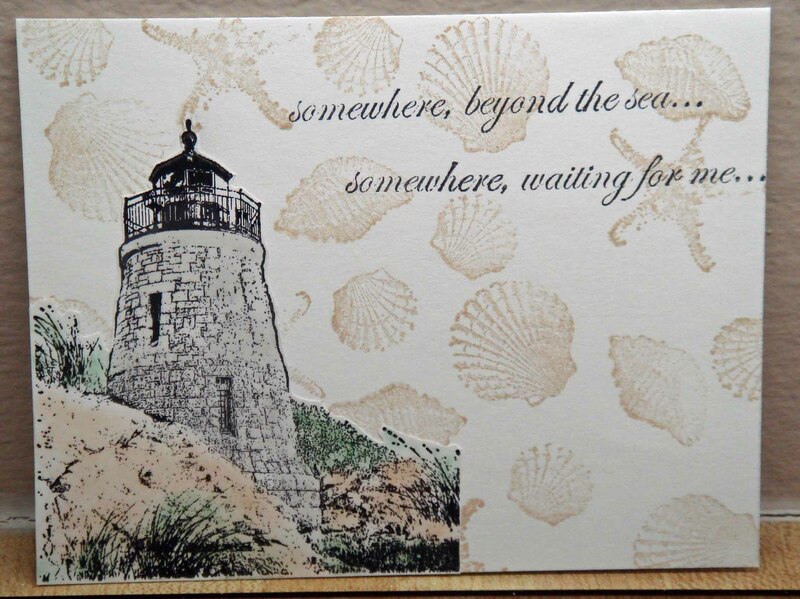 For the past year or so I have been sending cards to Operation Write Home, a non-profit that sends blank cards to U.S. military personal; they, in turn, can use and send these cards home to loved ones. It is a very satisfying project! For the upcoming July 4th Independence Day celebration, We Are Memory Makers and Scrapbooks Etc. are teaming with OWH to donate thousands of blank cards. We R Memory Makers is having a great contest — lots of fun prizes. Find the rules and details at www.weronthenet.com. Blank cards must be received by 5 p.m., July 6th. OWH — which has sent out a million cards so far! 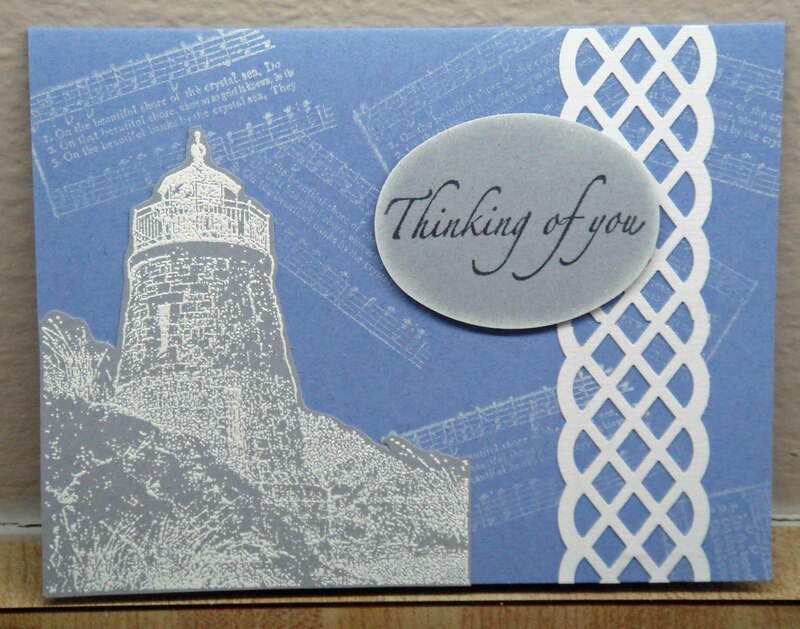 — is looking for blank, handmade cards that servicemen and women can send home. These can be birthday, love, miss you, thank you, thinking of you, etc. 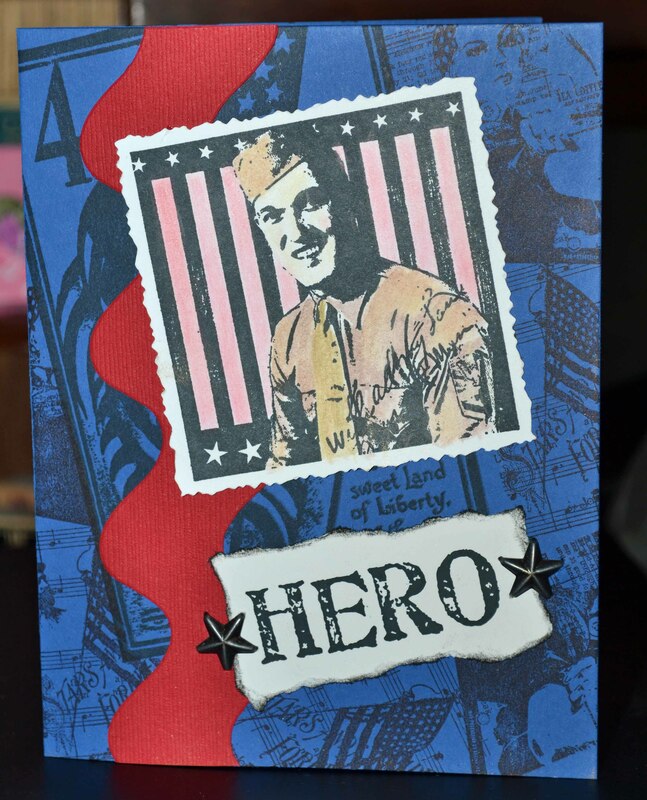 can also send “Any Hero” cards, which are cards with notes inside of them from you to the troops. This is a great school or scout project! Thanks for stopping by — come back Friday for a Fabulous Find! I am a sucker for the unmounted sets from Artistic Outpost. 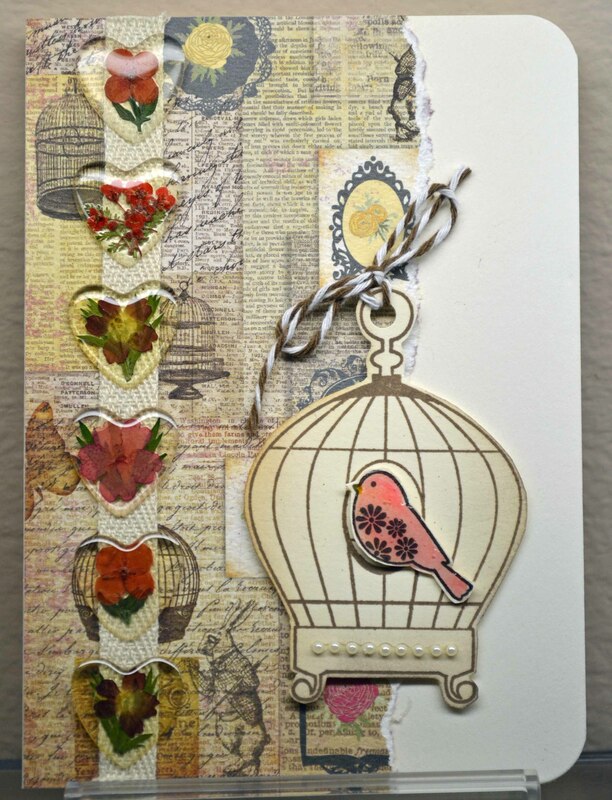 I love the vintage feel, the way the stamps form a theme, the design possibilities. 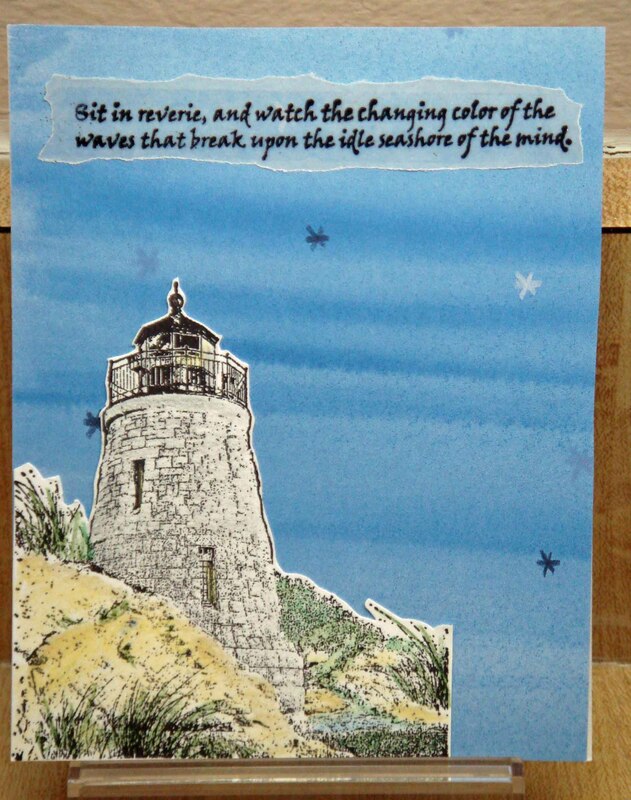 Combine that with my love of lighthouses, and how could I resist this set, *“Beyond the Sea”? I must admit, I am not always the most imaginative stamper; sometimes I have a hard time implementing my “vision.” Oh, who am I kidding? Sometimes I have a hard time getting a vision at all! So I need to stamp and play a lot to get a feel for the images and what they want me to do. Sometimes I get a … here it comes… creative block. I am also impatient, and I wanted — NEEDED — to stamp something from this set as soon as it arrived. My first attempt at making a card had me flumoxed. I have this really cool blue-grey paper that has subtle sparke in it. 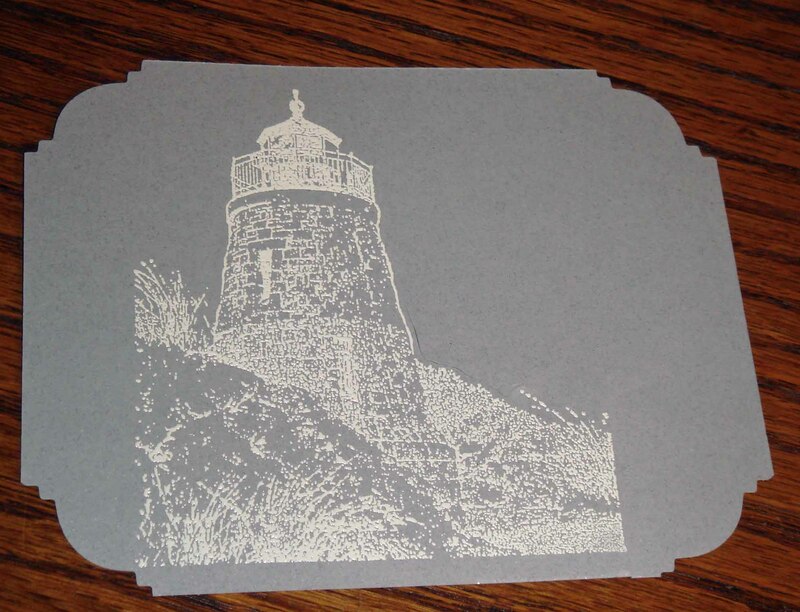 I envisioned the lighthouse stamped and embossed in white on this paper. (The blue is not quite that vibrant in person. It really blends better with the blue grey!) The music background is from the same set; the sentiment is by Rubber Stampede. The lacy border is a new punch from EK Success — which I will talk about next week! Love these punches! 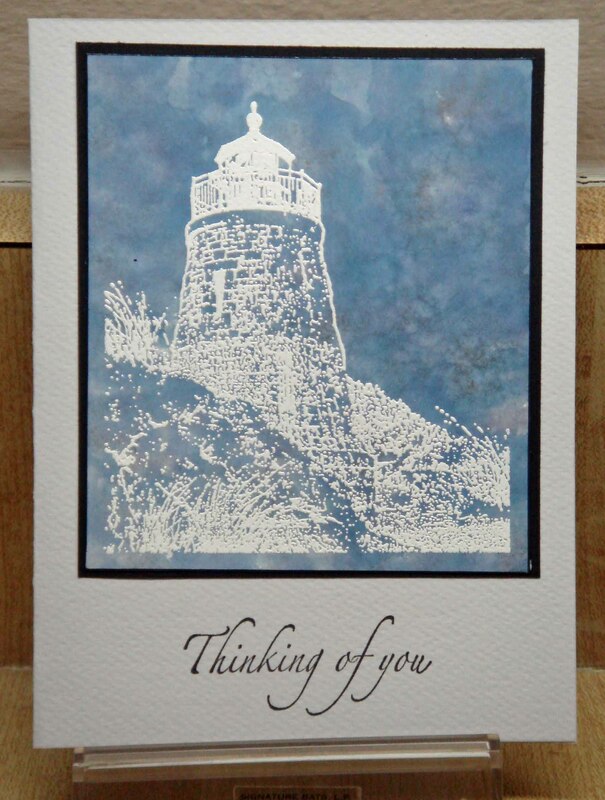 I do like this one above — I white embossed the lighthouse over a piece of background paper made with alcohol inks. To make the border, I used drafting tape to mask off the margins on my white cardstock. I colored the scene with Pebbles’ Pearlescent Chalk. Whew! I haven’t even touched another great image in the set — a man and woman in a gondola!